Each fall, broadcast networks are put in a Sophie's Choice scenario when it comes to new shows: they must decide which ones merit the largest chunk of their marketing budgets. Fox looked at its five new series and made Scream Queens its top fall priority, ABC prioritized The Muppets, NBC gave Blindspot its biggest push, and CBS will spotlight Supergirl. But The CW has no such marketing dilemmas, with just one new fall show on its schedule, Crazy Ex-Girlfriend, which premieres Monday at 8 p.m. And while that series—the wildest swing of any new fall show—will need plenty of marketing TLC to find its audience, The CW president Mark Pedowitz found himself with an unusual problem this fall: what to do with the rest of his marketing resources? 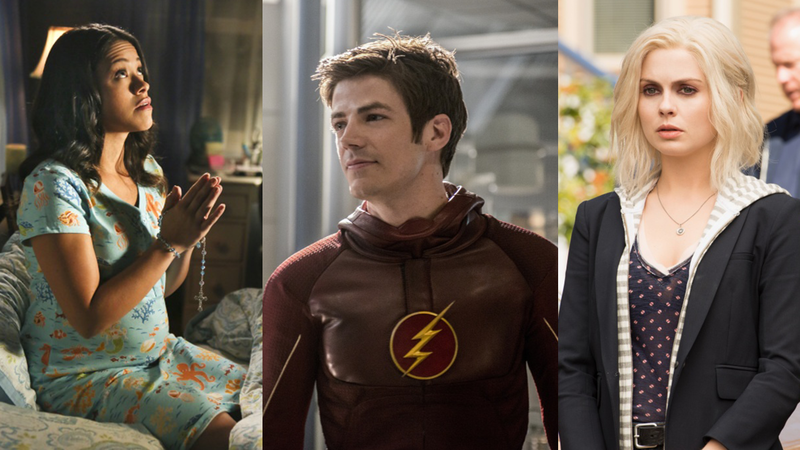 Without any other new series to focus on, the network is continuing to spotlight the shows that helped it reach new heights last season: The Flash (the most-watched show in network history) and Jane the Virgin (which brought the network its first Peabody Award and Golden Globe trophies), along with fellow sophomore show iZombie. So the network is marketing its Season 2 trio just as aggressively as Crazy Ex-Girlfriend. "We have never had the opportunity to do this before," said Pedowitz, of the network's unique sophomore marketing push. "By doing that, we believe that we can get more attention to those shows and help grow them. That is a luxury that this network has never had, and that's what stability brought to the fall." That stability comes from the network's decision to renew last fall's entire lineup, which left it with just one available slot in the fall. And The Flash's momentum continued with its Season 2 premiere last night: The show rated a 1.4 among adults ages 18-49, which matched its Season 1 average and was well ahead of time slot competitors Grandfathered (1.1) and The Grinder (1.0) on Fox. The CW is saving two other new shows for midseason: Containment and its The Flash/Arrow spinoff, DC's Legends of Tomorrow. And it will reallocate its marketing resources accordingly to launch them. "And then come January, February, March, as we launch the new shows, we can put in big marketing campaigns and re-excite everybody," said Pedowitz. At that point, Pedowitz will be faced with a new challenge: Once DC's Legends of Tomorrow debuts, 30 percent of The CW's programming will be devoted to DC superhero series. "We had really no intention to put on a third DC property," said Pedowitz. "What happened was as The Flash took off and Arrow was growing in its third season, we began to realize that they were introducing characters back and forth that were very intricate," including Wentworth Miller's Captain Cold and Dominic Purcell's Heat Wave characters from The Flash. "As that began to happen, it dawned on all of us very quickly that there might be an opportunity to move these characters into a third show, to create the third leg of a stool. So having [Arrow executive producers] Greg [Berlanti] and Andrew [Kreisberg] and Marc [Guggenheim] in charge of these things, and knowing that you'll get a quality show, our feeling was, if they believe it's the right thing to do, they will do it. And if they don't believe it's the right thing to do, they won't do it. So they came to the same conclusion: This makes for a much more interesting universe." But will it make for a more interesting network? Stay tuned.